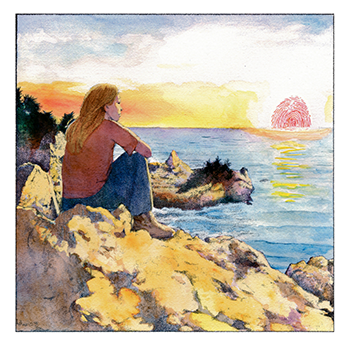 This is the last of my irregular series of posts about stories in my 24 hour comic collection SLEEPLESS, published this spring by Dark Horse. I LIKE TO RIFF is something of a victory lap, both for myself and for any reader who has made through all eleven of my previous 24 hour comics. I constructed the story by putting the names of the eleven previous comics in a sack, and drawing one out at random every two hours. See if you can spot all of them (the first six are in my previous volume, EVERYBODY GETS IT WRONG!). Here is another in my irregular series of posts about stories in my new 24 hour comic collection SLEEPLESS from Dark Horse. 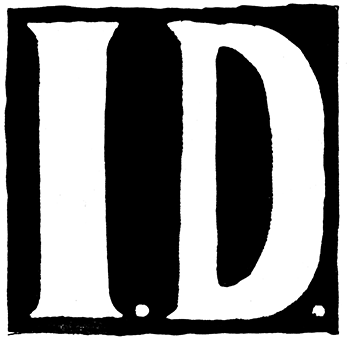 This story is ID, and it is about a woman who has her identity stolen by a mysterious tormentor. Featuring an all-animal cast, until I changed my mind halfway through and made them all humans. Based partly on a story I was illustrating that week for the New York Times, with elements drawn from the Rock Hudson movie SECONDS, this is one of the few comics stories I’ve drawn, 24 Hour or not, which manages to generate genuine suspense. Possibly this is because I had no idea until an hour or two before I finished how it would end. 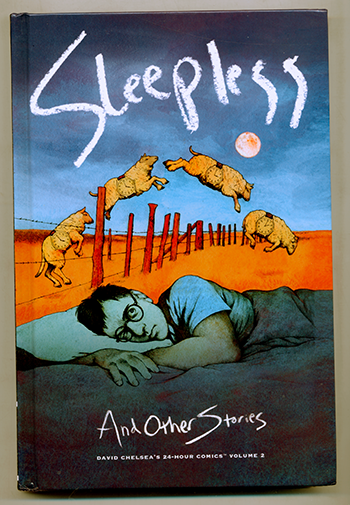 Here is the second of a series giving background on the stories in my second collection of 24 hour comics, SLEEPLESS, published by Dark Horse last month. 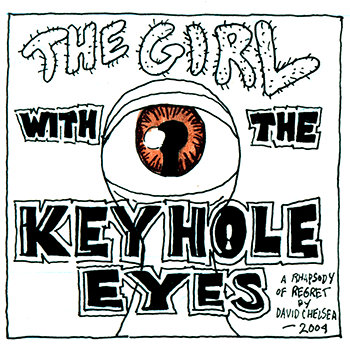 This one is about the title story, which I drew in 2007. 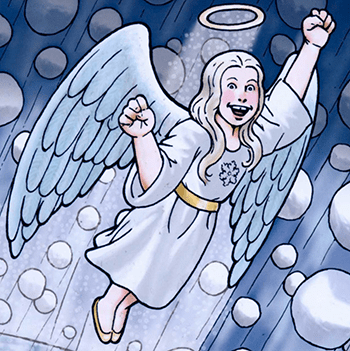 Continue reading SNOW ANGEL in April! Big news for fans of my 24 hour comics (in case you don’t already know, I am the World Record Holder in meeting the challenge devised by Scott McCloud, to produce an entire 24 page comic book in a single day– I have done 16 of these one-day epics so far). 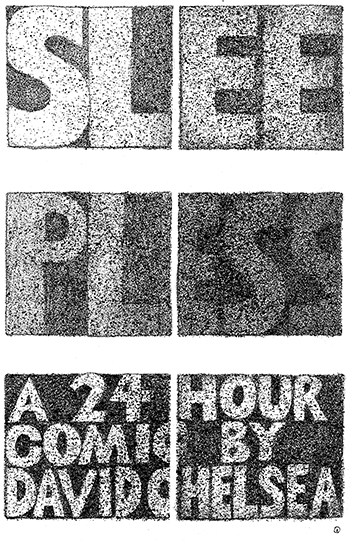 Plans are in the works for a second collection, titled SLEEPLESS AND OTHER STORIES: DAVID CHELSEA’S 24-HOUR COMICS, VOL. 2, to be published next year by Dark Horse (the first Dark Horse collection, EVERYBODY GETS IT WRONG! 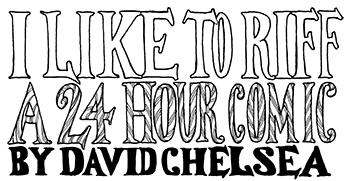 AND OTHER STORIES: DAVID CHELSEA’S 24-HOUR COMICS, VOL. 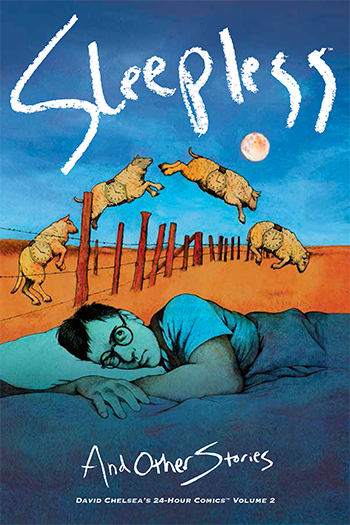 1, came out in 2013).